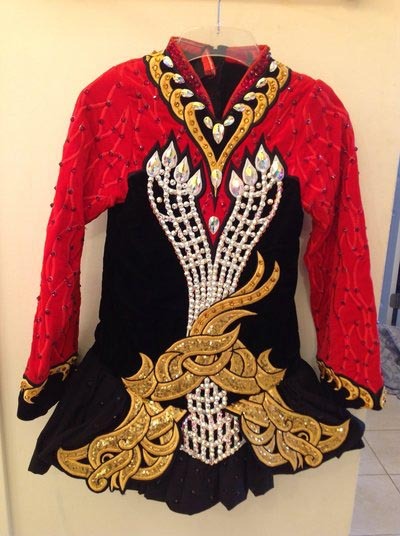 Striking Celtic Star dress made of black and red velvet with gold accents. 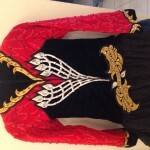 Beautiful Swarovski crystal accents. 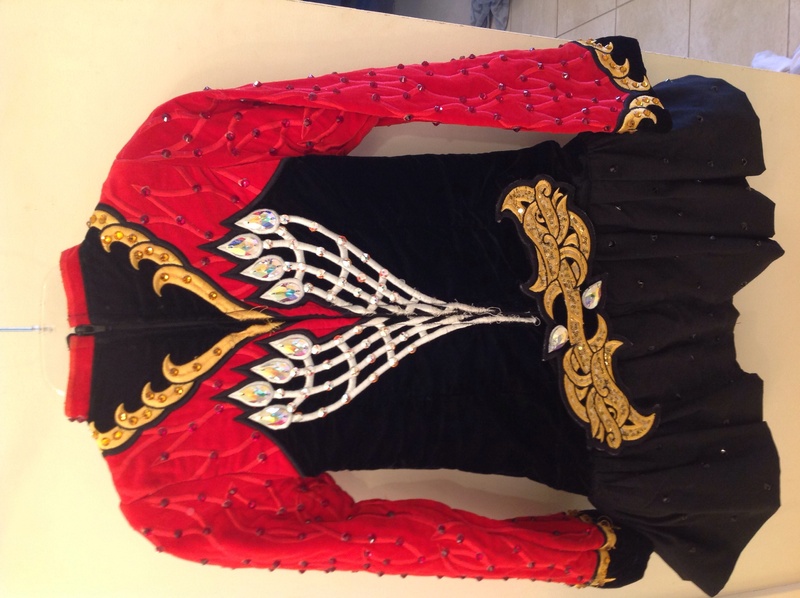 Skirt is soft material which makes the dress light and easy to dance in. From a smoke free home. Black kick pants, matching tiara and hair flower included. Asking Price: $US1,000. Shipping costs are not included in the asking price. Sale is final.